Jeff Bezos hasn’t had the best start to his week. The Amazon CEO has seen $19.2 billion (Rs. 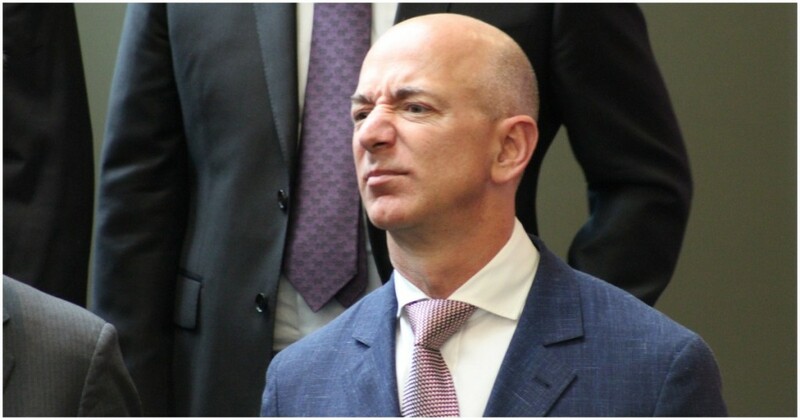 1,38,000 crore) being erased off his net worth after Amazon’s stock fell dramatically during trade over the last two days. Amazon’s stock, which was up more than 50% since the beginning of the year, has fallen 14% of the last couple of days. This has caused the erosion in Bezos’ net worth, thanks to his 16% shareholding in Amazon. Amazon’s stock had fallen after the company had missed analysts’ estimates with its quarterly revenue report. Amazon had reported a 29% revenue growth year on year, but it wasn’t enough to please Wall Street, which was expecting higher numbers. Among the reasons given for Amazon’s revenue shortfall was its slowing revenues from international businesses, which included India — Amazon said that as Diwali fell in November this year, it had lower revenue from its India business than expected. But Bezos’ $19 billion personal loss isn’t only large, it’s also record-breaking — as per Bloomberg’s Billionaires Index, this is the greatest amount ever lost by an individual over a period of two days. The previous record was held by Mark Zuckerberg, who’d seen his wealth erode by $16.5 billion in July after Facebook’s shares had fallen after the company had reported slowing revenue growth. And while the $19 billion wipeout is massive on a personal level, it’s also large in absolute terms. Amazon fiercely competes with Flipkart in India, and Bezos’ drop in his personal net worth over the last two days is more than Flipkart’s current valuation. The loss is also more than the valuations of Paytm, Snapdeal and Shopclues combined. Bezos’s loss over two days is also more than the entire amount invested in India’s startup through all of 2017, which stood at $13 billion. But all isn’t lost yet for Bezos — even though he’s had a bad Monday, he’s still comfortably the richest man in the world. Bezos is now worth $128 billion, and is followed by Bill Gates who’s now worth $92.8 billion, and Warren Buffett with $85 billion. And while Bezos is still rich in absolute terms, it just goes to show that no one, no matter how rich, is completely immune from the Monday blues. 7 Times Google Trolled The iPhone During The Pixel Launch Here’s How These Startups Are Trying To Spread Cheer Among The Less Fortunate This Christmas The IIM Lucknow Campus Provides A Great Backdrop For Its MBA All About IIM Calcutta, One Of The Best B-Schools In The Country A Giant List Of UPI Apps To Fix Your Demonetization Woes Why I Quit My High-Paying Startup Job After Just 6 Months [First Person] I’m An Assistant Manager At A Bank, And This Is What The Last Week Has Been Like There Are Furious Trades Of Rs. 500 And Rs. 1000 Notes Happening On Olx And Quikr This Is How “Investors” Are Trying To Steal Data From Indian Entrepreneurs The India Office Holiday List 2017 Is Here!